Bjjpdx had the most liked content! Brazilian Jiu Jitsu coach, Lambrettas, Triumph and British motorcycles, Camping, Fishing, toodling in my garage. Chilling with friends and family. 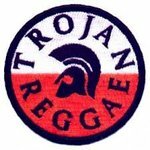 Grew up punk rock, Soul, Reggae, OI!. Was a pretty fun weekend!! Hows the project coming along Roger? Spring scoot in PDX is first weekend of April, Think it will be ready? A few of us should be rolling for that one. Cant wait, counting down the days!! you will love the Mugello with reed set up. Hopefully will get to ride with you soon! Im down to pitch $ for parts if needed. Welcome aboard Steve! See ya in Custer! wish I could have made that looked like fun! Oh dang you are right down the street from me around 202nd Powell!! Wow!!! That turned out great! Great job! Look forward to meeting you, Love the colors on that!! You're in Portland?